Flooding during monsoon season is an annual problem for North Korea, especially given its mountainous terrain and poor land management practices. Heavy flooding in August is said to have affected some 600,000 people according to North Korea's Red Cross Society. Urgent aid was needed as winter comes early and harsh, particularly for those in northern areas (which also tend to receive less government attention and assistance in general). The primary river in the northeast of the country is the Tumen, which flows from Mt. Paektu and forms part the DPRK-China border and near it's mouth, the DPRK-Russia border. The river drains some 5,000 square miles (13,000 sq. 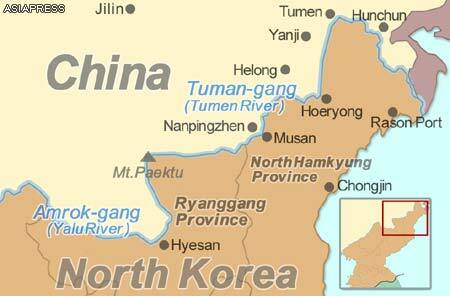 km) of rugged and mountainous areas of North Korea. According to the Korean Central News Agency, reconstruction has now finished in Hoeryong, North Hamgyong Province, including a new kilometer-long dike to protect against further flooding of the Tumen. Here are some satellite images of the flood damage along the river, including the cities of Hoeryong and Musan. The occassional curvy and thin yellow line is the map border between North Korea and China. Simply click on any picture and you'll be able to see larger versions. This is a before and after image showing flooding behind the old Tumen River Dike. It shows a new river channel and destroyed buildings. Here is a picture of one of several portions of road that was washed out along a tributary to the Tumen in the Hoeryong region. The next two pictures give a before and after view of a Hoeryong neighborhood that was completely destroyed by the floods. Nearby is the only non-rail bridge that connects that neighborhood to the rest of the city. The flood took out a section of it. Moving up river, toward Musan, there's a section that shows distinct flood damage. You can see debris and mud built up in the river bed, discoloration of the land where crops were destroyed, and a road that was "smeared" out as the Tumen overflowed its banks. Here is a small village that was almost completely erased. In Musan, the destruction wasn't limited to just a flooded river. Musan is a key mining city and sits in a series of vallies with steep hills and mountains surrounding it, there's a tributary river running through it and then, lastly, the Tumen cuts off the western side. Here you can see buildings destroyed by the Tumen. And here are homes that were buried in mud and rocks as otherwise dry ephemeral mountain streams turned into raging torrents. Finally, the Hoeryong border crossing facility was also severely damaged. At least two of the buildings suffered major damage and the land around the facility was wrecked. In the satellite image you can also see some of the construction equipment as the government tries to clear the area and make repairs. With Phase I having been published around 6 months ago and the recent mid-range ballistic missile test on Sept. 5, I figured I should give an update on where Phase II stands. I'd like to quickly touch on the missile tests. According to CNN, the tests were carried out in Hwangju County, North Hwanghae Province (25 miles south of Pyongyang center). Korean Central Television released a YouTube video of the missiles being fired. In the video, you can see that the missiles were fired from mobile launchers positioned on a major highway with a highway tunnel in the background. In another scene a cell or radio tower is also visible. Given the positioning of the camera, it's difficult to really gauge how far away the tunnel is from the launchers, however you can see a "turn around" spot near the tunnel and a bit farther back toward the launchers, you can see a section of pavement that looks a bit darker than the rest. This is typical of bridges. There's only one highway section that features all of these things near Hwangju. So, this stretch of highway would seem to be the most likely location of the tests. Hwangju is also the home of the Third Air Combat Command which is responsible for the defense of the DMZ and southern portions of the country, which means they would have access to ballistic missiles. Additionally (whether or not these missiles came from here), the hills around Hwangju are filled with tunnels, hardened artillery sites, military units, and military storage facilities. That said, I cant't find any section of highway in the entire province that seems to look exactly like the video footage. As I mentioned in the Phase I release post, Phase II (which I'm working on now) will include a map of all the schools, town halls, "Palace's of Culture" (Juche study halls), and other buildings of interest in the country. I started mapping these places part-way into Phase I, meaning that I had to go over the rest of the country another time to get all the sites I hadn't originally marked. The blue dots cover all the areas I have had to re-map (which adds up to roughly half of the country). In addition, I decided to go over Pyongyang entirely for a second time because of how dense the city is. My goal in all of this is to not miss greater than 10% of any given type of item (cell towers, schools etc) nationwide. The Google Earth file size for Phase I is 2.7 MB and contains over 28,000 places. The current Phase II file adds a further megabyte, and I'm not even finished working on it! The file for Pyongyang itself has nearly doubled in size. To help make the project of greater use to people, I have been scouring different sources for additional information on the various sites I've marked. If the name of a school is known, I want that placemark to be given the school's name. If a fancy looking new building pops up, I want to be able to tell you what it is, and so forth. Since I began this project over 3 years ago, I have also gone back through some of the folders and updated them, better categorized some places (particularly military sites), and worked to make everything uniform in terms of descriptions and the icons used. The work for Phase II really comprises two parts: the first part is all the new mapping I'm doing, the second part is taking Curtis Melvin's North Korea Uncovered file (which is now over 7 years old) and updating any changes that have happened to the 8,100 sites he mapped. This also includes making corrections to places that were incorrectly identified (there aren't many, but accuracy is important) as well as fixing a problem created by Google Earth itself. 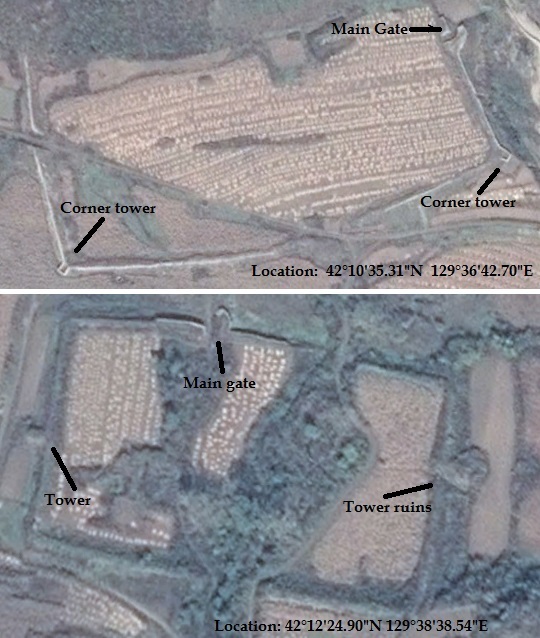 When Google Earth has updated imagery added, sometimes the coordinates don't mesh perfectly and, particularly in South Hwanghae Province, around 2006 the coordinate system was adjusted. The practical meaning is that many of the places marked there by Curtis are now off by as much as 1,000 feet. So I need to go through all of them and move them to their "corrected" positions. Oh, and I have to do the same for the large military-focused file created by Google Earth user "Planeman_" and then collate his and Melvin's files because each project, while largely covering the same places, did map out some spots the other person missed. All of this adds up to a mountain of work. The work of Phase I was completed in Nov. 2015 and released in March 2016. Since then, I have been able to go over nearly all the places I needed to. I only have about 20% of Pyongyang left. I have also already gone through thousands of sites marked by Melvin and Planeman_, though there is still much work remaining on that front. Some of the cool things that my comprehensive map will be able to bring to the general public is: 24 surface-to-air missile sites previously un-mapped by the earlier projects, the entire network of cell towers (very few existed during the time Melvin was working on his project), an updated map of their missile testing sites, more detailed maps of various palaces, a much more detailed map of Pyongyang with hundreds of buildings marked, and lots of added bits of information on countless other sites (including nuclear facilities). I have a two week international vacation coming up soon and then of course the holidays are getting closer and closer, but I am really hoping to be able to have my Phase II mapping completed, the corrections/updates made to North Korea Uncovered, and the combining of Phase II, NKU, and Planeman_'s projects into a single master file with no duplicates and as few holes as possible by the end of 2016, if not sooner. I'd like to thank everyone for their continuing support and patience. This has turned into a major project that has required thousands of hours of work and research. I hope it will be useful and live up to expectations once completed. Three and a half years ago I embarked on the ambitious project of mapping the whole of North Korea; a project called "AccessDPRK". I have always had a fascination with authoritarian regimes and for some reason my specific interest in North Korea began to grow a little over three years ago. I also have had a deep love of maps and geography since I was a very young child. As my interests piqued, I started using Google Earth to look at North Korea. What I found were informative “community placemarks” marking the location of a monument or military site. I looked into who had created those placemarks, which seemed to cover the entire country, and found that they were part of a project called “North Korea Uncovered”. Created over the course of two years (2007-09), by George Mason doctoral candidate Curtis Melvin and a few volunteers, the project created the most comprehensive map of the country to-date. It included thousands of placemarks (approx. 9,000) – monuments, factories, palaces, artillery batteries, ancient tombs, and so much more. There was also another person, a Google Earth user known only as “Planeman_”, who created a map of supposedly all the artillery sites in North Korea. However, as I explored these large files, I quickly discovered that there were massive holes in the data. While they marked some locations of each general type of item, the resulting creation was far from truly comprehensive. For some reason this offended me (in a lighthearted way), and since I am slightly obsessive and had an inherent interest in the country, I decided to take it upon myself to make the most comprehensive (at its fullest meaning) map of North Korea any private citizen has ever made by going and marking all of the locations not marked in Melvin’s project. Once completed, I would release the information in the form of a Google Earth file to the public via my website, blog, and the Google Earth Forum. The goal being to expose the entirety of country to the world. To show people not just how the physical infrastructure of the nation is laid out (like power plants), but to also give a glimpse of daily life by having marketplaces, parks, as well as historical locations lost to Western knowledge, and much, much more. After the completion of “Phase I”, I also intend to review Curtis Melvin’s file and make any necessary corrections to it (since it is now six years old) and combine the two projects into a single “master file”. Little did I know what this full endeavor would require. On Nov. 28, 2015, I finished the initial mapping phase of my project. After three years, over a thousand hours of active mapping work, and delving into thousands of pages worth of material to assist in creating this map, I now have seen every square mile of the country – indeed every home. The resulting Google Earth file is nearly 3 times the size of Melvin’s and contains 28,164 additional placemarks. 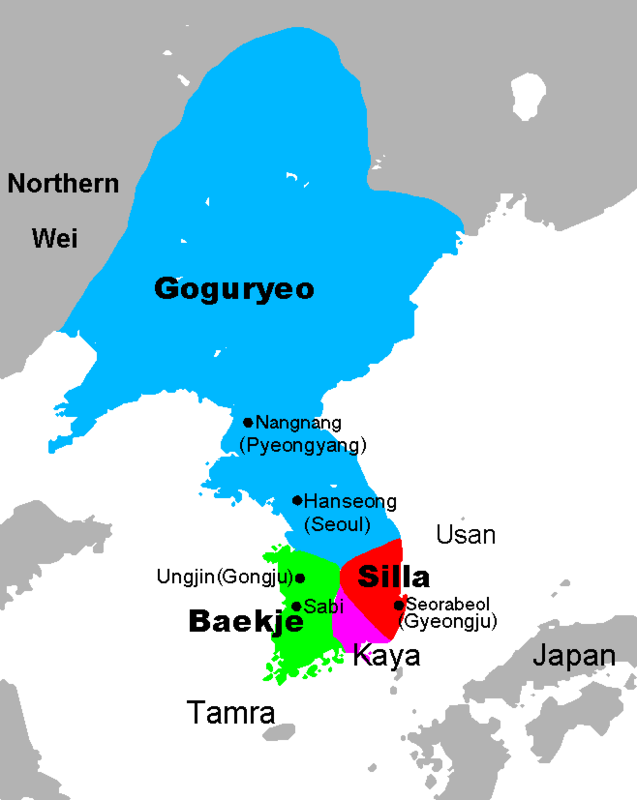 The file is divided according to each of North Korea’s primary administrative regions. Each is then further divided into 3 main categories: Military, Monuments, and Domestic. The Military and Domestic categories are subdivided into several sub-categories, such has anti-aircraft artillery sites, military bases, naval sites, and on the domestic side, dams, electrical substations, schools, factories, etc. All told, there are over 50 subcategories. Beyond those province specific folders, there’s are folders exclusively dedicated to the Demilitarized Zone, the country’s airports, historic places, etc. One reason why this has taken so long is that as I would go around the country, I would find new categories of places that were numerous enough to have a national impact, like irrigation pumping stations and radar sites. So as I would add these new categories, I would have to go back an re-map formerly "completed" areas. The ultimate end of this project is not yet known. Like the development of the Internet, I’m not fully aware of the possibilities that can arise once people start mining the data. You could create a comprehensive map of North Korea’s electrical grid, you could discover their current defensive military strategies and find holes in their air defense system, you could work out how their internal security system is integrated across various transportation modes, and I’m sure many other things. In addition to mapping, I’ve also written dozens of posts for this blog as well as 6 Wikipedia articles which have been read a combined 400,000 times and translated into multiple languages. My main wish is that this can be used to help the world see that North Koreans are normal human beings who have been held hostage by their government. And that this provides some insight into how that government works to further the work of others in opening up North Korea, and one-day help bring North Korea into the 21st century with a respect for freedom. Phase II is already underway, and I have marked over 5,000 new places thus far. These include public schools, universities, museums, theaters, town halls, and other "buildings of interest". This is going to take some time to complete, but I'm hoping to have everything (including the "master file") finished and ready to be published by the end of the year, if not sooner. If you want to discuss the project on social media, please use the hashtag #AccessDPRK either on Twitter or Facebook. I welcome comments and suggestions, as well as new information. To access the Phase I Google Earth file, you can either visit my file archive here and click the download button for "AccessDPRK Phase I_Finish_V1-March-5-2016.kmz" or download it directly by clicking this link. To view the file you must have Google Earth on your computer/device. NOTE: this is a large file (over 28,000 items). For some computers Google Earth might freeze or crash if you try to have every province open at once. Just go through them one by one if you're unsure. Some 8 miles (13 km) north of Manpo, North Korea, along the Yalu River border with China, a new hydroelectric dam has slowly been growing. 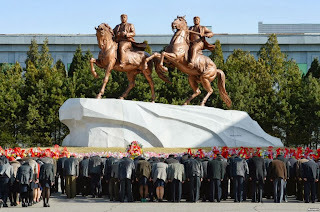 It's named for the village of Changchuan, although the North Korean name given is Mun'ak. Satellite imagery suggests that construction on the dam began sometime around 2013 and has been proceeding from the North Korean side to China; the nearest Chinese city being Ji'an. You can see the beginning stages of construction in this image from January 5, 2014. I haven't been able to find much additional information about it. 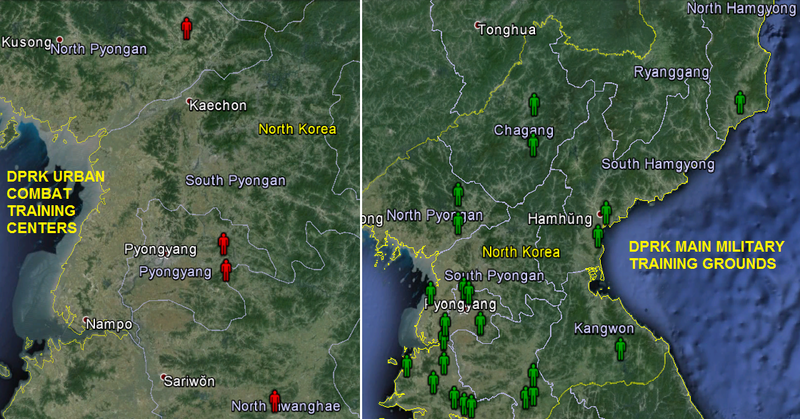 NKEconomyWatch posted that North Korea and China were planning to build two additional hydroelectric dams on the Yalu. One would be built from the Chinese side and the other would come from North Korea. The North Korean dam, located by the small village of Changchuan, is estimated to cost $78 million and is expected to produce 154 million kWh annually (enough to power 14,000-20,000 homes). The initial agreements to build the dams came in 2004 and 2008, with a proposed completion date of 2013. Obviously, they've fallen behind. This image from October 21, 2014 shows the work advancing and shows the hydroelectric generating station under construction. The original width of the Yalu River at this point was around 850 feet (259 m). The latest imagery available, May 24, 2015, shows the dam has pinched the river into a 100 foot (30 m) wide neck. It also shows a cofferdam large enough to facilitate the construction of 4-5 additional "ribs", and that the hydroelectric station's construction is also continuing at pace. The hydroelectric facility has rooms to hold 4 generators. Here is a picture of the "worker's village". It includes housing, manufacturing buildings, and equipment sheds. A mile (0.6 km) north of the construction site, they have carved out a quarry on the river bank to use for the cofferdam and, possibly, the concrete used in building the dam. The quarry covers approx. 330,000 sq feet (30,600 sq meters). It also looks like the dam was originally going to be built 0.8 miles to the north but was moved to its current location for some reason. The nearest completed dam is the Yunfeng Dam, which is 12 miles (40 km) north and became fully operational in 1967. It has a 400 MW generating capacity. Once this dam is completed it will be the fifth hydroelectric dam on the Yalu. After missing the initial completion deadline, the dam is slated to be completed in 2019. The construction of this and other Yalu River dams is expected to bring in millions of dollars' worth of energy trade with China, something not banned by UN sanctions. Construction progress as of May 5, 2018.